It’s the first fire of the season! I actually loathe cold weather. 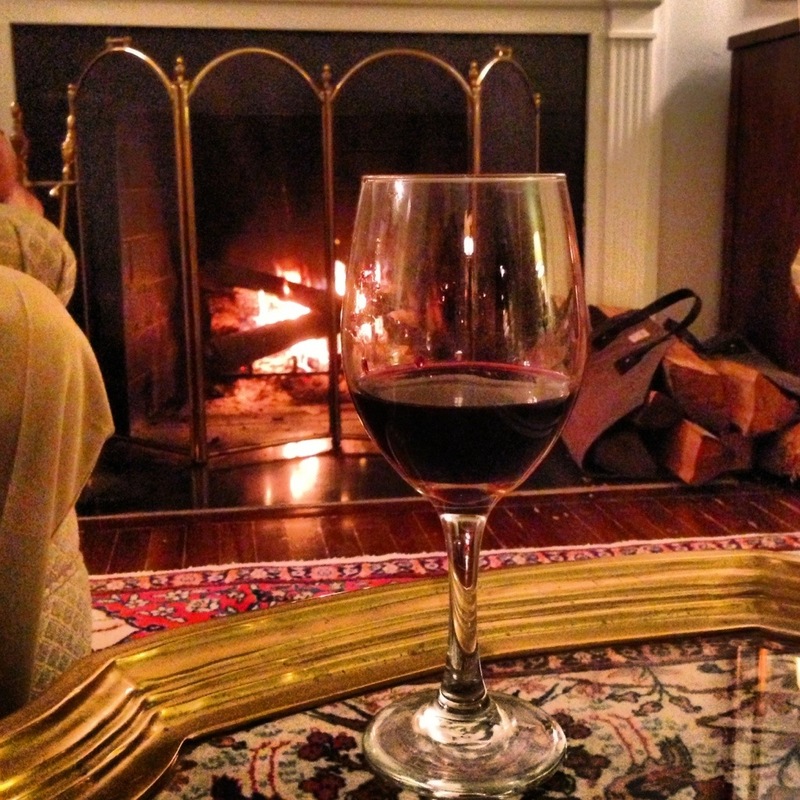 The only saving grace is that it’s awesome for fires and red wine drinking. Tonight, Cab. What do you drink in the fall? Tags: cabernet, wine. Bookmark the permalink. What? How did you know that I fired up the inexcusably pathetic gas fireplace tonight? What I drink is pretty much what I drink all year except for the real; true heat of summer – something red – right now a Montepulciano d’Abruzzo. Time to crack open the big Barbera, get something young form the Alba side, just watch you don’t doze off! “Red wine weather” is one of the only things I look forward to as summer ends, too! That, football and baked goods made with pumpkin. It’s the little things! I have white and rosé all year too, but with food. I usually don’t go for those next to a fire, but who knows – sometimes it gets hot! Where are you that you need a fire already? DC is ‘cold’ but not too bad yet. I like crisp…which can lead to various wines, darn. I lean a TINY bit white in the summer. I am growing a small liking for Cabs so this fall/winter will be my reason for exploring them more. NY – wasn’t really that cold, but just a good excuse to get a fire going for coziness. We will only have forest fires for some time to come. But I have found the perfect wine for this not fall not summer time. People’s Wine Revolution Bea’s Rose, dark in color, light in flavor, lovely chilled! Same here, we enjoyed a glass (bottle) of cab yesterday afternoon with a late lunch wrapped up in blankets on the sofa. I am going to have to drink away my jealousy that I don’t have a fireplace! looks delish.